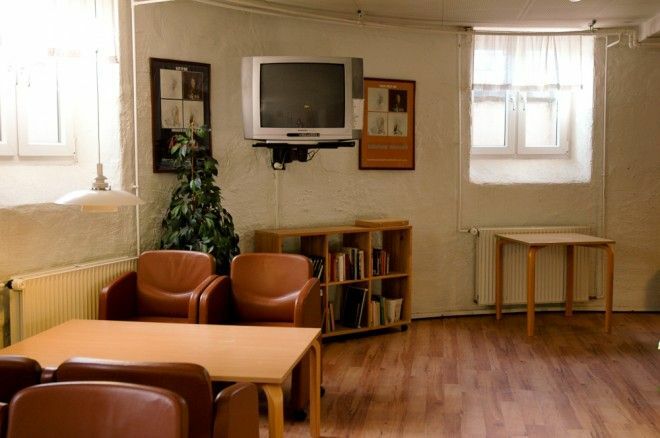 Danhostel Odense City is situated directly in the heart of Odense within walking distance to the shoppingarea and museums. Great atmosphere at low prices. Odense Danhostel City has 4 storeys with lift. There are 39 rooms with 2, 3, 4 and 5 beds. All rooms have en-suite shower and toilet. 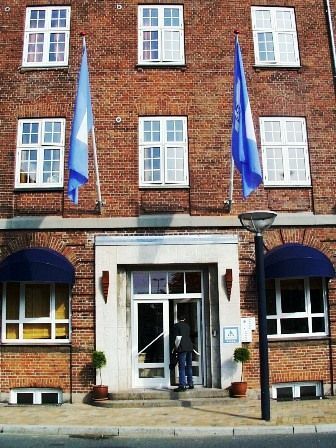 Danhostel Odense City is situated in the former Park Hotel right next to the train station in Odense with views of Kongens Have (the Royal gardens). There are bus connections to all of Odenses attractions, sports facilities, educational institutions, etc., several times an hour. There are trains to Copenhagen and rhus every half hour. Please note: Bed linen is not included in the price. You have to either bring your own bed linen or rent it for DKK 60,- pr person. Sleepingbags are not allowed!!! Check-in is between 4 pm and 5 pm. If you arrive later than 5 pm, then contact the hostel and let them know an arrival time, so they can hold your reservation. 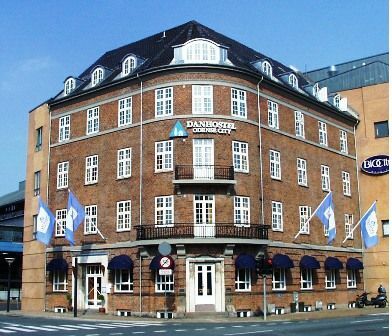 Danhostel Odense City is situated next door to Odense Train Station, the junction for trains, coaches, local busses and taxies. Here you also find cinemas, shops og cafes. Transportation to and from the hostel is simple. Whether your destination is local or other national, there are good connections 24 hours a day. To and from Judland and Sealand there are train connections every 30 minutes. Travel time to Copenhagen: 1 hour og 30 minutes. Travel time to Aarhus: 1 hour and 30 minutes. When you arrive at Odense Train Station, walk out the main entrance and turn right: You will find the hostel at the end of the building (100 m). From the Train Station there are bus connections several times an hour to all parts of Odense including sights, sports facilities and the university.